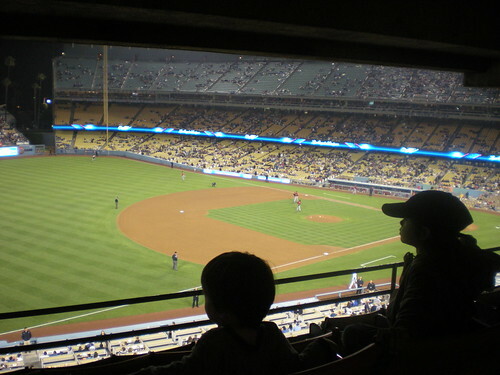 Sure, attendance is down, the Dodgers are having a terrible season and Frank McCourt is hated. But on a warm August night in Los Angeles, Dodger Stadium is still a pretty cool place to bring Blogger Kid and Blogger Toddler 2.0. 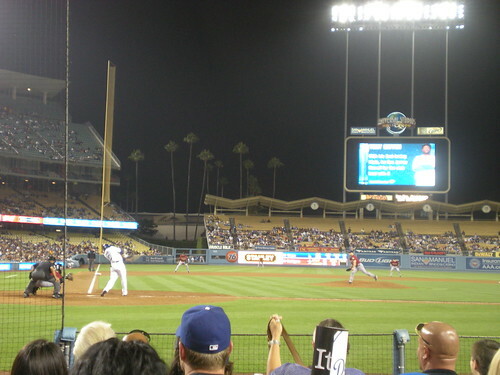 And as a bonus, the Dodgers were facing an even weaker opponent, the Houston Astros, giving the team a 6-1 win that night.